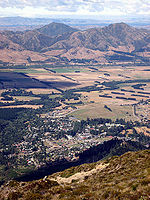 As the crow flies, the summit of Mt Isobel is only about 4km from the popular tourist town of Hanmer Springs. 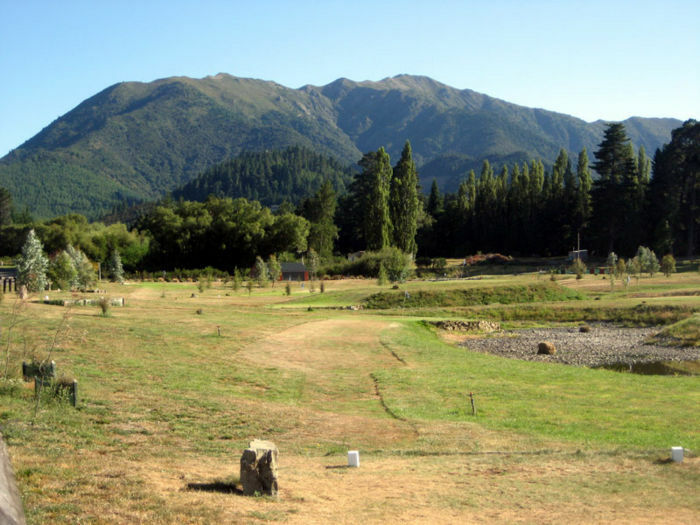 Hanmer Springs is home to some wonderful hot pools, and the short four hour hike up Mt Isobel is a great precursor to a relaxing afternoon swim. 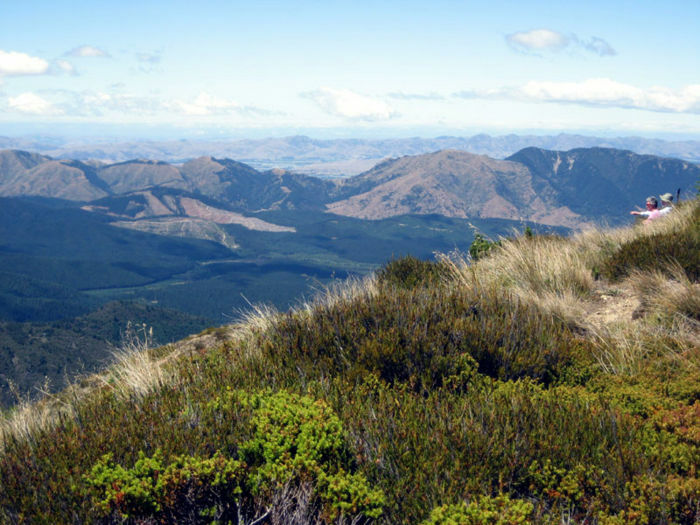 The summit gives great views of Hanmer Springs, and the walk itself is well marked, and reasonably straighforward in summer conditions. From Hanmer Springs, drive up Clarence Valley Road. You will pass the first track to Mt Isobel which is marked by a sign at the junction with Pawsons Road. To do the shorter walk (as described on this page) continue up Clarence Valley Road until you reach Jacks Pass. 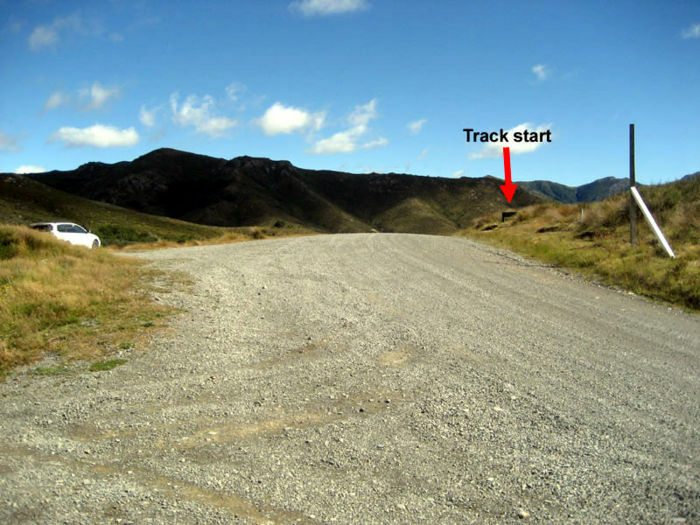 The start of the track is at Jacks Pass and is marked by a green sign on the righthand side of the road. There is a carparking area on the lefthand side of the road. From Jacks Pass, the track winds through subalpine vegetation and up on to a ridge. The track is well formed and marked with poles. The track undulates a little along the ridge, and you will then arrive at the head of a pretty stream valley. Up to your left the poled route guides the way up the steep scree slope, which is the only really tricky part of the tramp. Walking poles are of use here, especially on the way down. Shortly after the top of the scree slope you will descend a little and come to a signpost which indicates the way to Mt Isobel, and also the way to the track which goes back to Pawsons Rd. Allow about 1 hour to this junction. 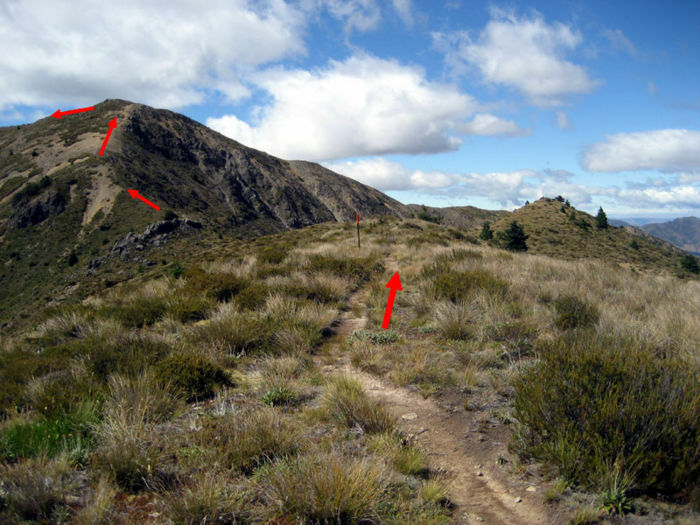 From the signpost the tracks gradually climbs along the ridge and up to the summit trig. Just beyond the trig, there is a wide, flat summit area, which is a perfect picnic spot on a fine day. 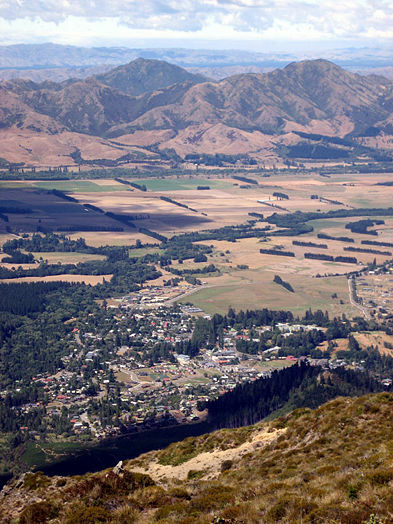 Make sure you walk around the summit, to make the most of the great views of Hanmer Springs and the mountains and valleys surrounding Mt Isobel. In all it is approximately 1.5 to 2 hours to the trig from Jacks Pass. The time to return to your car is slightly quicker, but remember to take care down the scree slope.